The Nursery has been bringing improv to Londoners for almost a decade. We run regular shows and classes, as well as offering space hire, bespoke training, and a new course for teenagers! 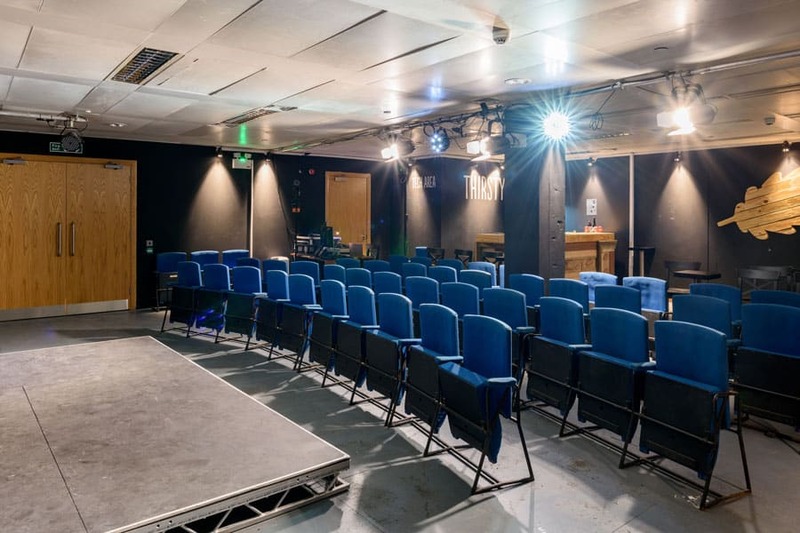 This year we opened a brand new, purpose-built improv theatre, The Nursery Theatre at Broadgate! We run shows there from Thursday to Sunday, with additional performances throughout the week. It has its own private bar and comfy seats and it’s a great place to come along and watch a huge variety of improv styles in a relaxed, friendly environment! Our classes are flexible and aimed at all levels: from a free monthly taster session and drop-ins every Wednesday and Saturday, to short beginners courses and longer advanced courses, electives and guest teachers for experienced improvisers to hone specific skills. We also have a weekly jam night at The Nursery Theatre.